After some extensive cast iron restoration work for The Royal Society came these large decorative heater panel grilles. Removing 150 years’ worth of paint revealed some exquisite castings and fine work by the original craftsmen. Matching that meant carrying out several trial pourings, to get the metal temperature and flow right. It’s all about care and attention to detail. 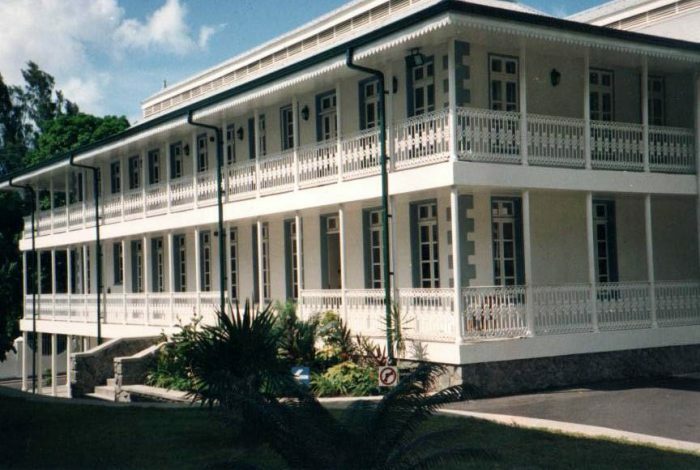 Recommended by an architect in South Africa to another working in The Seychelles. That’s how this commission to supply all the cast railings for The Seychelles’ Ministry of Tourism Office came about. Panels and fittings were designed to accommodate existing column spacings. 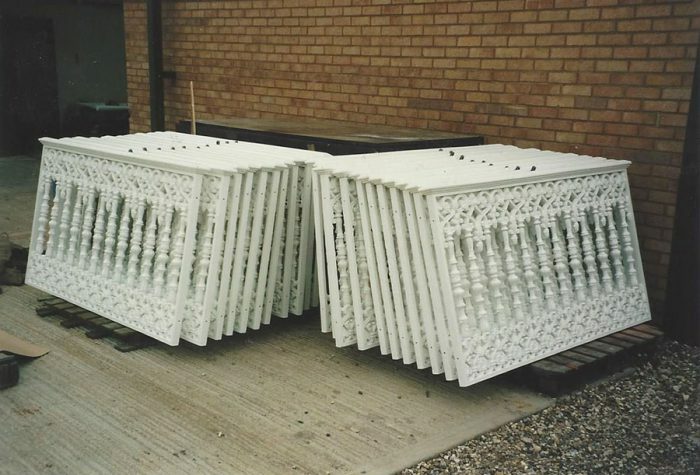 Patterns were made a trial was successfully carried out before the huge number of castings was supplied. Everything fitted perfectly, to great acclaim. So much so the job led to supplying castings to the hotel next door to the Ministry. 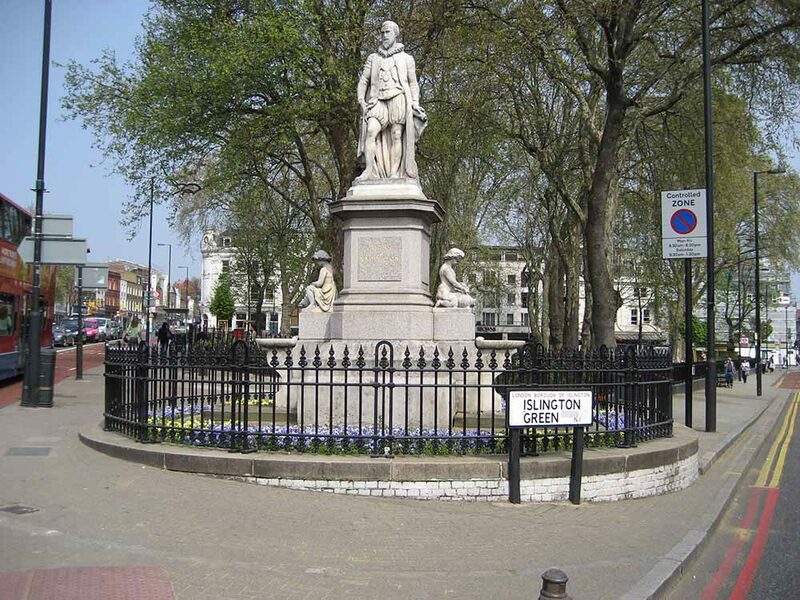 The railings around Sir Hugh’s statue had been requisitioned as metal needed for World War 2. Decades later a generous grant was made available for their replacement. It took a lot of research, including a look through the local library archives, to make sure the original design was replicated. The patterns and the castings done, and the railings installed, and not only was the statue returned to its original splendour, but the immediate surrounding area was somehow enhanced. When the Chief Conservation Officer of Newham Council explained that this project involved some 200m of new cast railings for this prominent church it was obvious that this would be a challenge. The location was surveyed and photographed, and samples taken of every post, panel and backstay. With 2m x 2.5 panels the components were heavy, and diamond drilling the original granite copings was demanding but the installation proved to be straightforward thanks to careful planning. 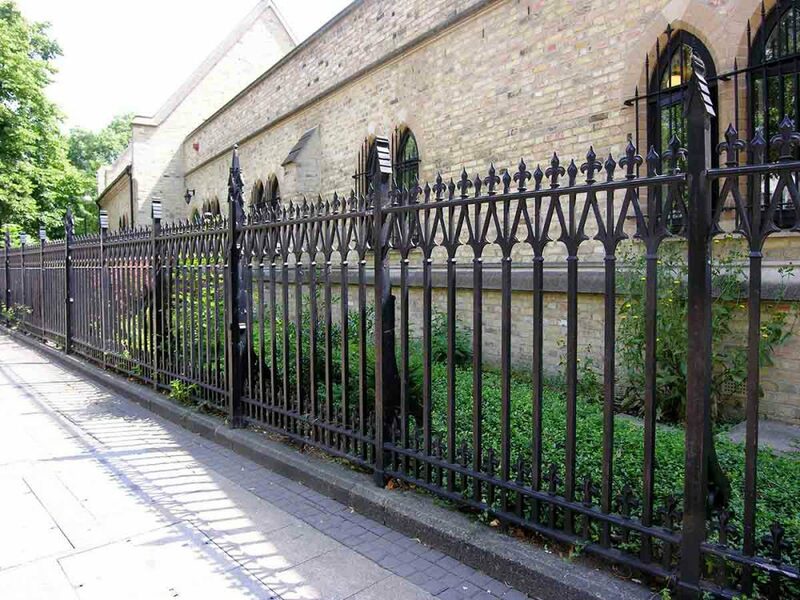 The job was completed with the installation of two main gates. Once again, the project led to other commissions in the area. 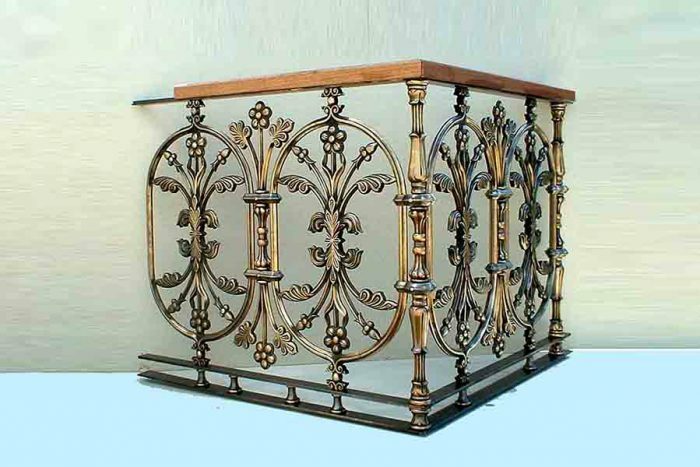 An international interior design company needed the design and manufacture of solid bronze balustrades for a library in a Saudi Arabian palace. There were three main considerations; the design needed to allow for varying lengths of balustrade, ease of transport was essential and the components had to be assembled on site. The inspiration for the design was some original castings salvaged from a house in Shepherd’s Bush. The team remodelled the shape of the main panels, designed intermediate posts and came up with a discrete clamping system. Having ensured precise dimensions to meet the very high specification it needed considerable experience to create the patterns. Next came the finish, polishing and applying a patina to create the high quality bronze appearance. This was a challenging assignment to the highest of specifications – in an extremely prestigious location.